Escape to the Greek Isles without leaving Philadelphia when you visit Kanella. This authentic Greek kitchen serves up some of the freshest, most honest Mediterranean cuisine Philadelphia has to offer. 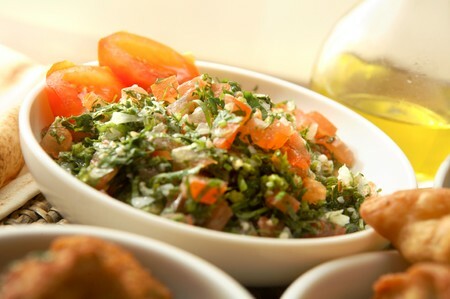 Kanella offers breakfast, lunch, and dinner and features some traditional specialty items such as Shaksouka, Mousaka, and hummus. Their décor is rustic with accents of the blue and white thus genuinely paying homage to the Greek flag. The restaurant even offers a Cypriot Meze on Sunday evenings. Come sail away to Greece as you drop anchor at Kanella on Spruce Street. Cross Street: 757 S Front St.
| Lunch 11:30 a.m. - 3 p.m.
| Brunch 10 a.m. - 3 p.m.